Here you'll find the perfect pair of British made leather shoes for your little angels. 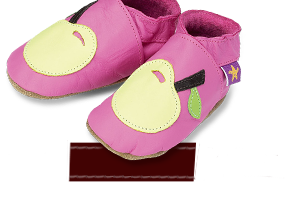 Starchild famous soft sole leather baby shoes and slippers are instantly recognizable, colourful and fun. They protect little feet allowing them to breathe and grow naturally. The natural softy leather upper has a durable non skid sueded sole and is ideal for bouncing, crawling and early walking, even on tiled or wooden floors. The elasticated ankle keeps their socks on, can not be kicked off and ensures that the shoes really do stay on... Starchild baby shoes are recommended by mums and pediatricians. 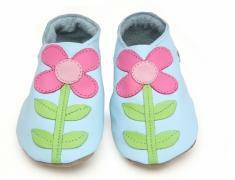 Soft leather allows feet to breath move and grow naturally. FREE UK delivery. We ship world wide. 48 hour despatch. Celebrity customers include, Madonna, The Beckhams, Prince, Gwen Stefani, Christina Aguilera, Liam Gallagher, Amanda Holden, Jo Wiley, and many more.